Nowadays, social media has come the most popular and powerful development than ever. So many seller want to combine all of theme favorite social networks profiles into their site to promotion product. 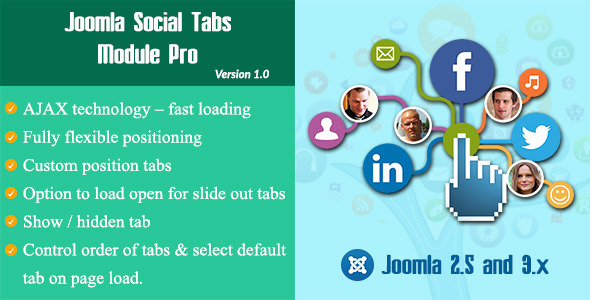 And now If you are owner of online shop, Joomla Social Tabs Module can help you do it. 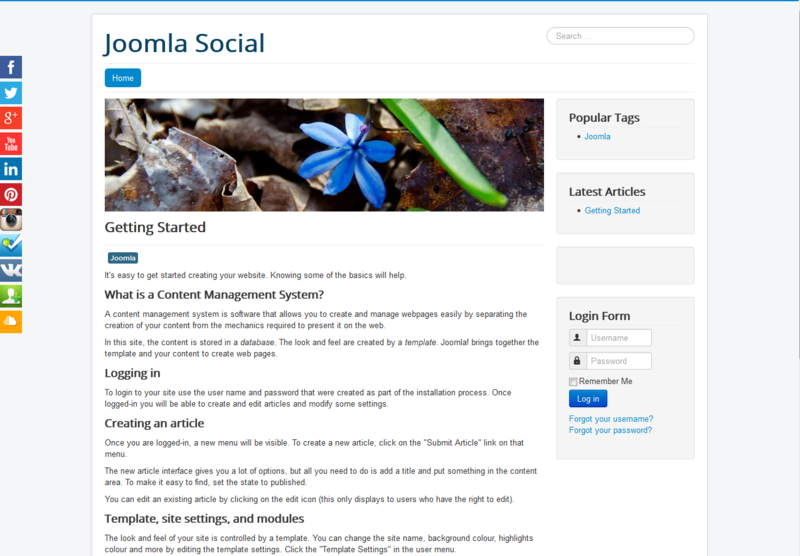 Just integrate module in your site , it allows you to display social networks in the form of sliding tabs,so that users can view your activity in them – no need go to your social page. 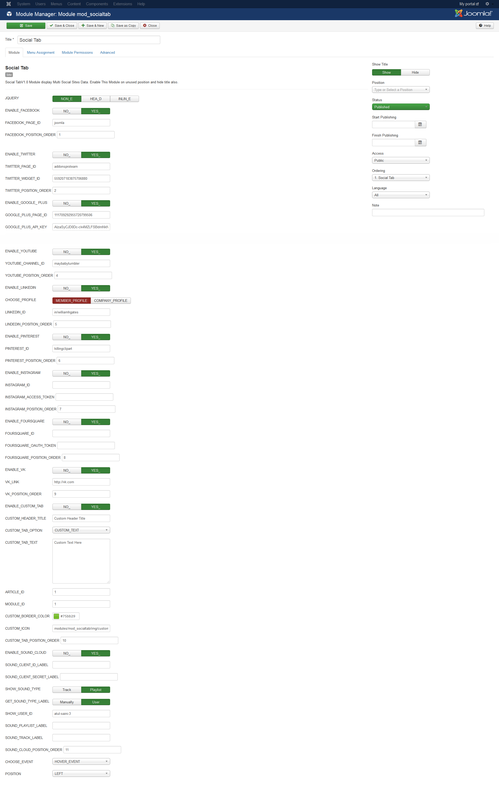 This module can be applied at both side of web page (right and left). It can be listed down some common social media channels such as facebook, twitter, google plus, youtube, linkedin, pinterest, instagram… And it’s very fast loading with each social network feed loaded using AJAX. Fast loading – tabs loaded via AJAX only when required. 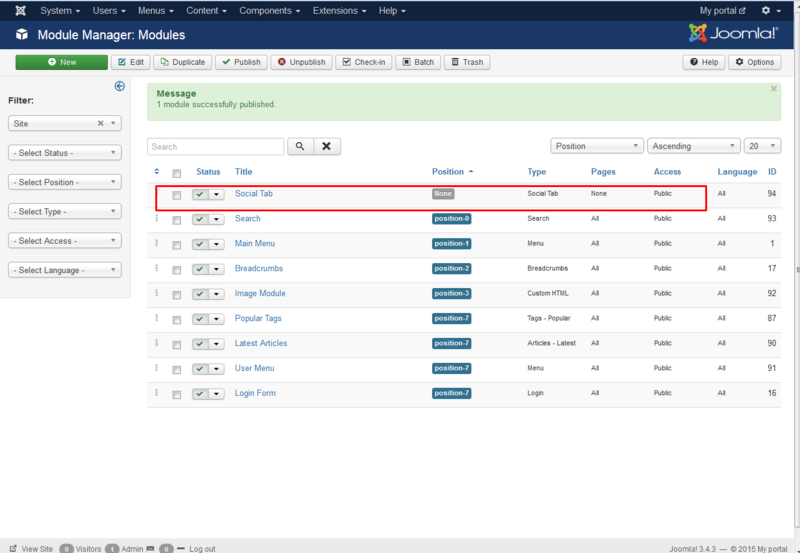 Display either using slide out tabs or static tabs in your page content. Position sliding tabs relative to browser window or within the page content. Option to load open for slide out tabs. 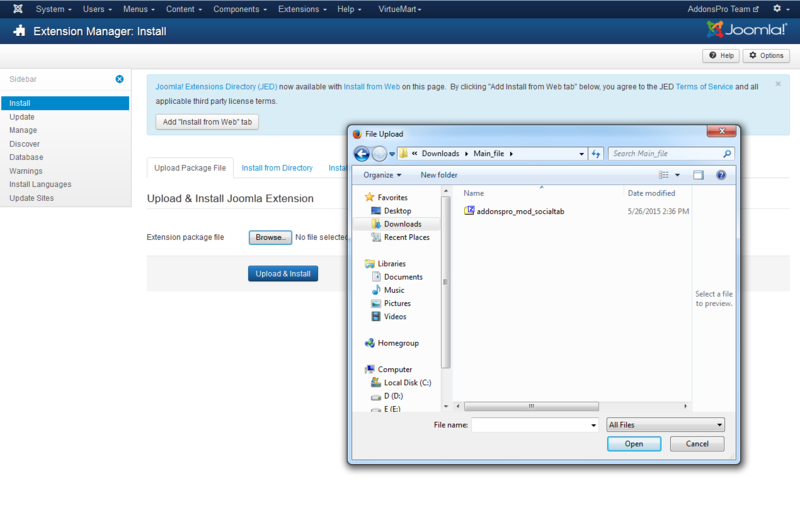 Control order of tabs & select default tab on page load.